Eden Mill, the popular Scottish gin and whisky distiller, has today (Wednesday 27th March) announced that it is to stock limited edition gin products in World Duty Free stores in airports up and down the country, including Aberdeen, Edinburgh, Glasgow, Manchester, Heathrow and Gatwick. 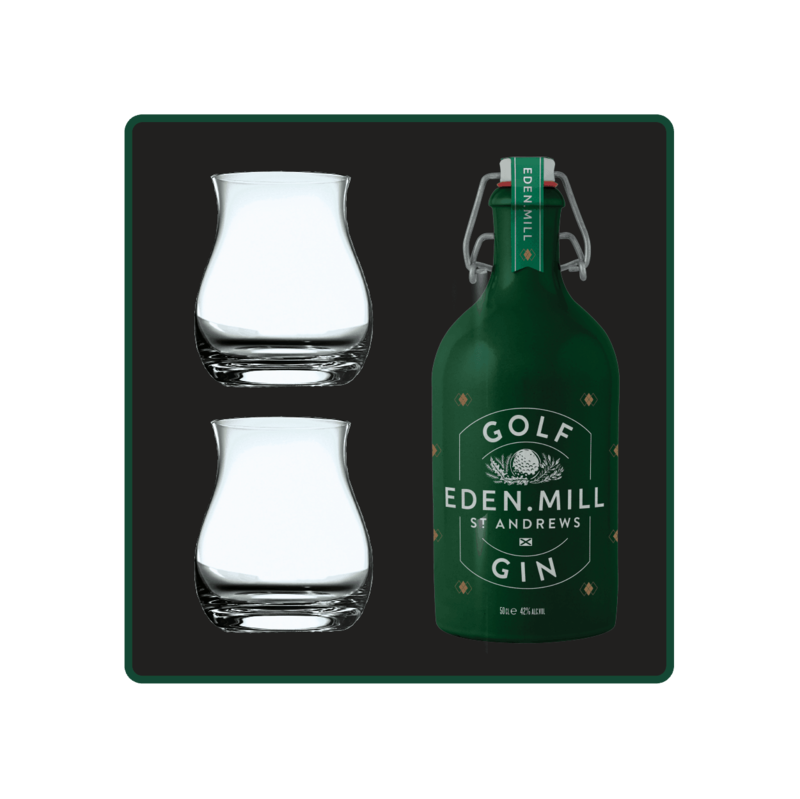 Eden Mill’s duty-free offering will include, limited-edition products such as the Golf Gin gift set, comprising of the 50cl Golf Gin, accompanied by two Eden Mill branded tulip glasses. Instantly recognisable in the green bottle, Golf Gin is a true representative of local golf courses synonymous with St Andrews, with botanicals such as seaweed from St. Andrews Link and Gorse Flower from Braids in Edinburgh to name a few, this botanically rich gin is the perfect choice for every gin and golf fan alike. The distiller’s Scottish Gin of the Year 2018 winner, Original Gin will be available in a duty-free exclusive limited-edition bottle and is a must-have for anyone looking for a St Andrews take on a classic London Dry – expect a very clean and sweet taste. The most exciting addition to the duty-free range is the limited-edition Passionfruit & Coconut Gin, which is exclusive to World Duty Free. On the nose a rich, juicy, passionfruit and tropical aroma mingles with apricot and toasted coconut. On the palate, expect full flavours of passionfruit and apricot. Sweet to start, this fades to a slightly bitter passionfruit taste with the toasted coconut notes adding savoury character. The gin finishes with a slightly drying, bitter passionfruit taste which fades to leave a creamy coconut and tropical character.